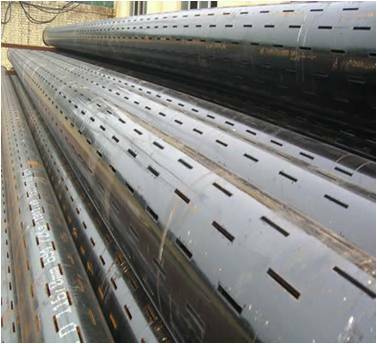 The slotted liner is mainly used to the water and oil reservation layer without much sand. It’s function is prevent rock bits dropping into the well bore. The working principle is allowing the certain size and coming through the surface with crude oil but keeping the bigger size sand being stopped outside to form sand bridge, and thereby achievement the anti-sand purpose. 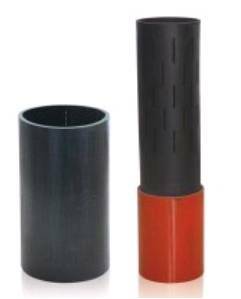 This type of product is commonly used to sand rock and carbonate reservoir, and especially useable for horizontal wells. Windows interface, Friendly interface, easy to learn and operation; to edit the numerical control program and high readability. Evolution of high speed algorithms. Bridge Slotted Screen pipe is a new product which is composed of central tube, precise punched slotted screen jacket and stainless steel ring. It has characteristics such as exquisite controlled hole, high percentage of open area, strong integral strength, resistant to deformation to corrosion and high reliability etc.